For older adults, transitioning home from a hospital stay can be an overwhelming and sometimes scary experience. There are appointments to schedule, prescriptions to fill and orders from doctors that must be followed for proper recovery. In fact, according to AgingCare.com, 55% of the elderly are “non-compliant” with their prescription drugs orders, meaning they don’t take the medication according to the doctor’s orders. Organizing and coordinating all of these new tasks can mean hours and hours of time. To ensure recovery begins in a smooth and efficient manner, this transition requires the right amount of attention and care to ensure all matters are handled properly. 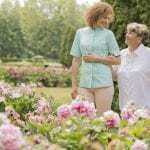 The good news is that there are many ways for this transition to happen smoothly and safely, ensuring they adjust comfortably after their hospital stay. These 10 tips are the essential steps to take during the transitioning home from the hospital process. 4) Make Sure Food & Meals Are Purchased & In-Line with Diet. Our Transitioning Home Program is designed to help older adults adjust comfortably and safely at home after a stay in the hospital and/or rehab. Our staff of medical managers and certified professionals ensure all release details are accounted for and understood by client and client’s loved ones. 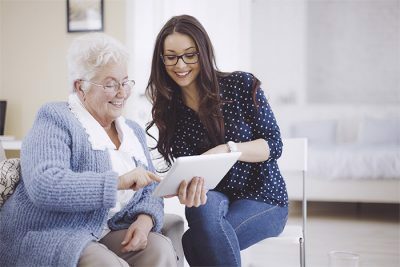 This program’s comprehensive list of services includes making sure all discharge items are organized and acted on, including scheduling of appointments (and transportation to them), medication pickup and any additional personal needs in the home. To learn more about the Transitioning Home Program with SameAddress, call us today at 1-866-SENIOR-1.